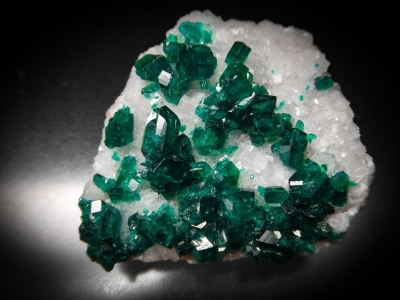 Very nice blue-green Cuprian Adamite. 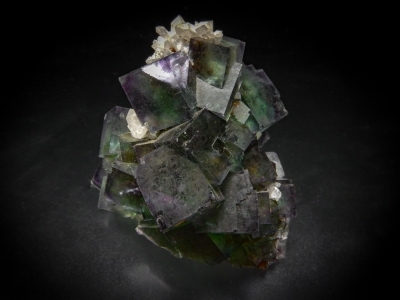 Very typical of the pieces mined n the early 1990's. 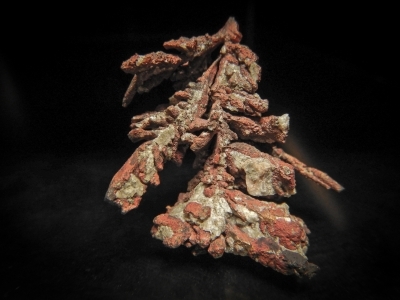 The red gossanous matrix appears to have been stabalized to eleiminate rust stains. 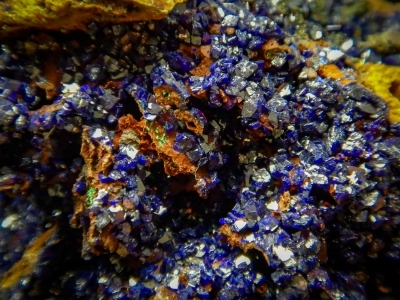 A nice radiating group of spinel law twined Copper crytals. 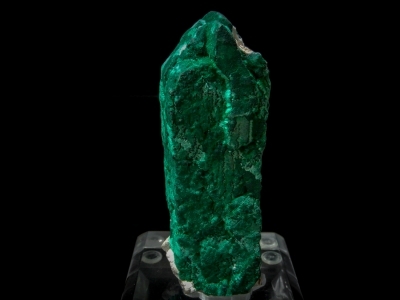 This is a single 9.7 cm crystal of malachite pseudomorphed after azurite. 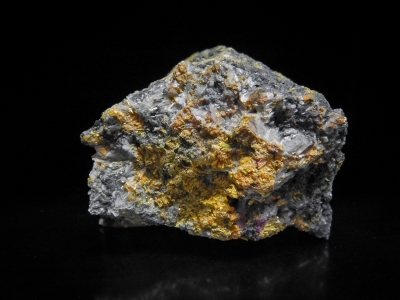 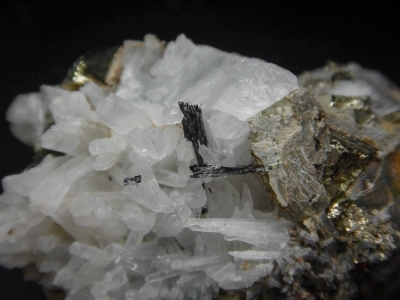 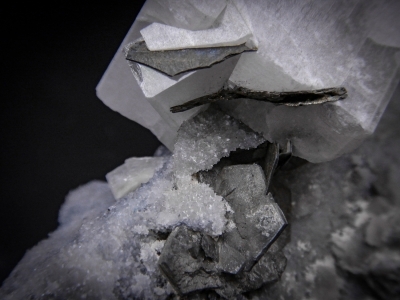 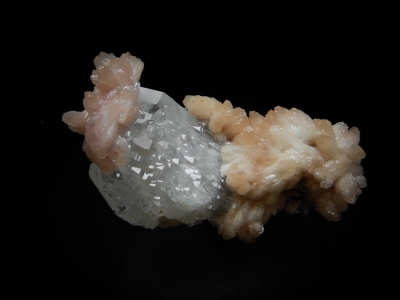 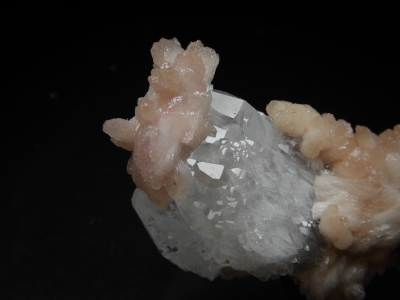 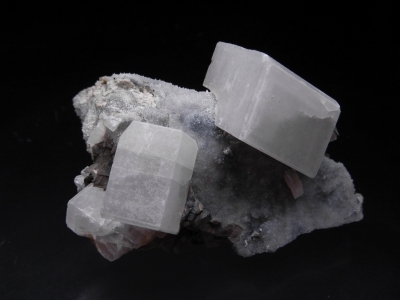 Scalenohedral-like composites of Olmiite perched on lusterous scalenohedral calcite crystals. 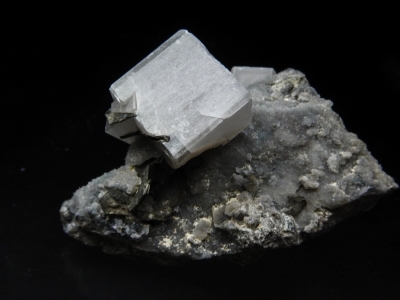 Polybasite from an unusual locality. 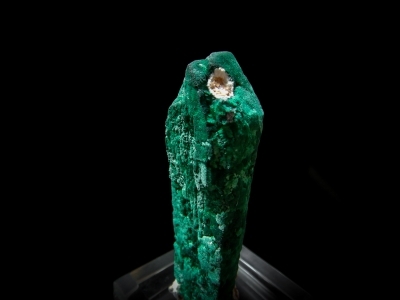 This piece is from a very old collection shown by the old label. 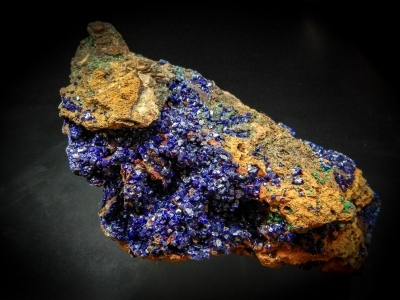 Clearly this collector survived his time with the natives. 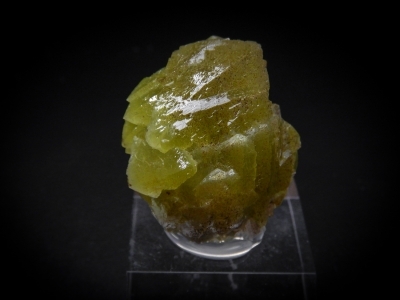 Very large lusterous and curved adamite crystal faces. 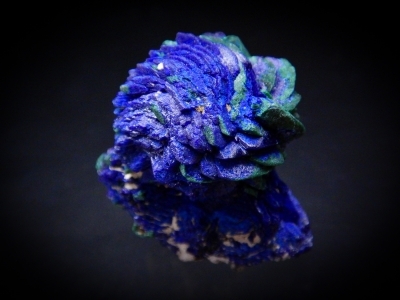 A stratoform looking gossan with small azurite crystals in all open spaces. 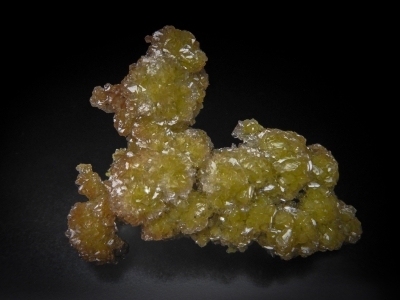 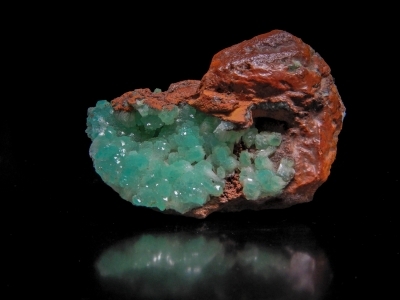 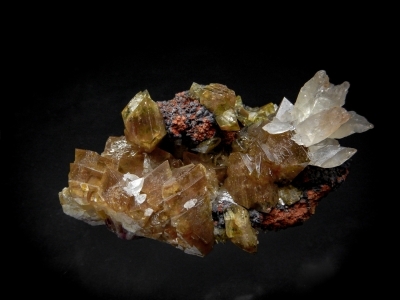 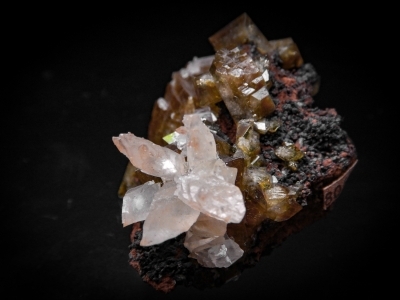 This adamite specimen is unusual due to the isolated nature of the large crystals. 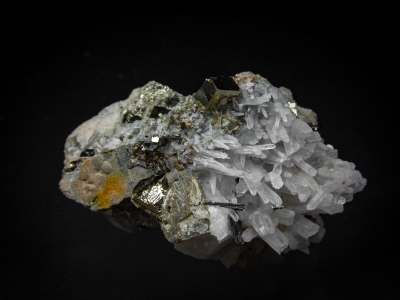 Barite rhomb perched on drusy quartz. 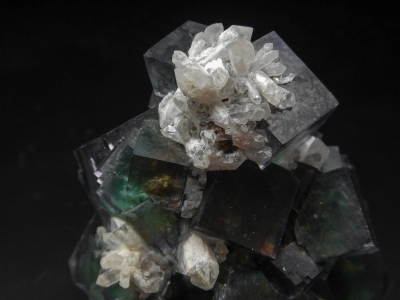 Free standing Bismuthinite crystals with quartz and pyrite from the underground copper mine last worked by Anaconda Mining Company. 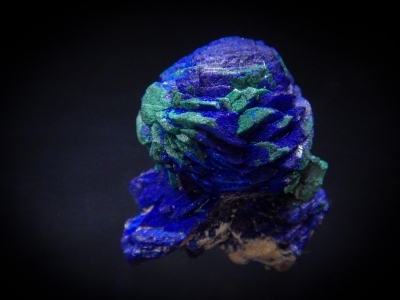 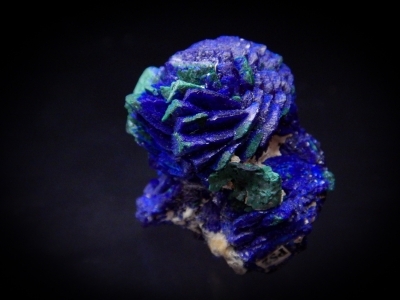 A nice azurite and malachite rose perched on similar azurite. 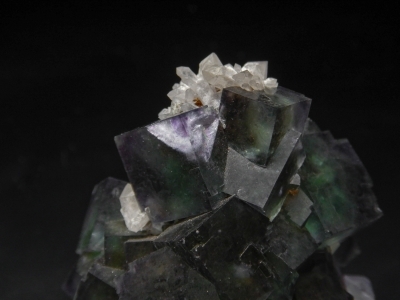 An asthetic mound of green with purple zones, with white quartz crystals as contrast. 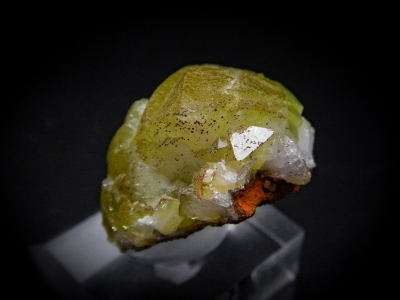 This cinnabar crystal was etched out of clacite matrix. 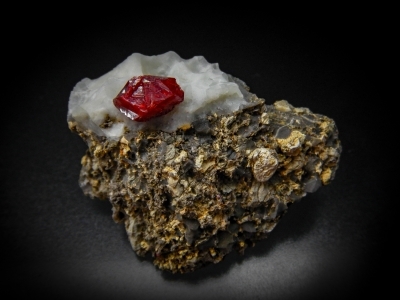 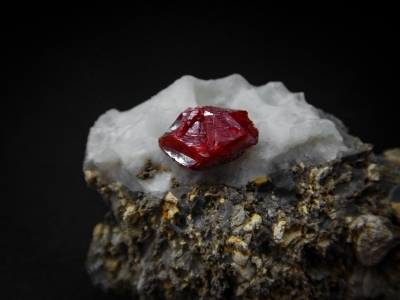 It is unusually bright red with a sharply formed crystal.